The world changes. Sometimes, the change is small, sometimes large. Sometimes the differences can be as great as day and night, as sun and moon. But the real lessons learned are how individuals accept and adapt to that change, or how they ultimately fail to do so. That’s where the drama comes from, in television and in life. College is a time of change, but student Eric Cord (John J. York) never believed his college years would change his life this much. It wasn’t school and the broadening of his mind at issue, but a strange encounter with his family friend and roommate Ted, who encourages Eric to kill him with silver bullets. Ted has become a werewolf, who would rather die than being forced to kill again, but Eric refuses to believe him… until the transformation occurs. Eric is ultimately forced to shoot Ted, but is bitten by the transformed Ted before he dies. Now Eric is part of the bloodline, and acquired the curse of lycanthropy; he’s become a Werewolf. Eric’s world has just changed, and not for the better. He’s being pursued by a bounty hunter named Alamo Joe (Lance LeGault), who’s on Eric’s trail after he’s accused of “murdering” Ted. And according to the red pentagram that starts showing up on his hand, Eric’s about to transform into a potentially out-of-control Werewolf. The only way he can “undo” the horrible curse (and return to his normal life) is to kill the originator of the bloodline, the mysterious Janos Skorzeny (Chuck Connors). Eric is now both the chaser, and the chased. What ensues is something like a thriller version of the television classic The Fugitive, with Eric trying to clear not only his name, but also insure his return to humanity. He’s being sought as a criminal for murder, and searching out the vile person who can apparently end his new existence. Through a 2-hour pilot and 28 half-hour episodes, Eric’s world was turned upside-down as he encountered various innocents, and those that would hurt them (and him) along the way. Some of the traditional accoutrements of “werewolf” transformations were kept, such as being susceptible to silver bullets and healing powers, but the transformations were now unpredictable, and not tied to the phases of the moon. This allowed the writers of the series to have Eric’s change into a werewolf happen when necessary for dramatic purposes, instead of tying all changes to a specific time of day. The series also established a continuing deterioration of the mental and willful control of the human/werewolf, placing a bit of a timer on Eric’s quest, but allowing for him to, at least initially, refrain from attacking innocents. But it wasn’t the innocents Eric was after. The leader of his bloodline, however, had been around for a while. 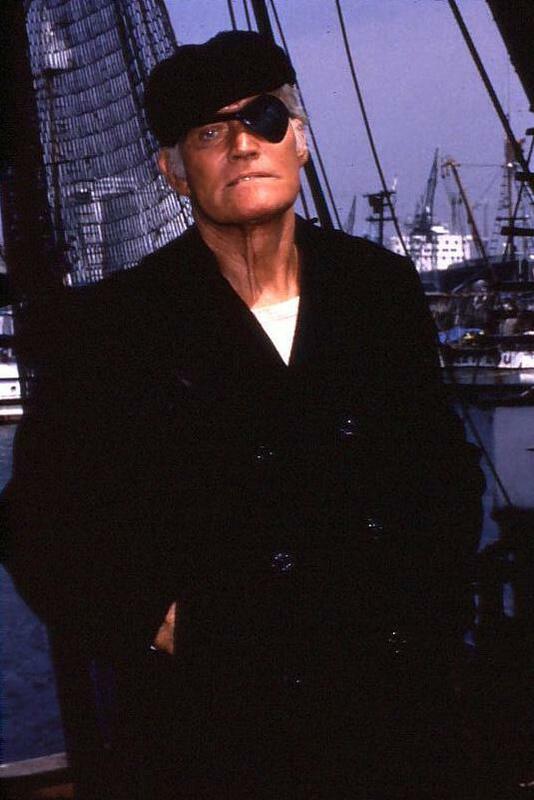 Janos Skorzeny was an old fishing captain, whose mind and body had been ravaged by the curse over 100 years. Playing Skorzeny, Chuck Connors was about as far away from his heroic and iconic role as The Rifleman as he could get. Sporting an eyepatch and a middle-European accent, he simply oozed villainy in every scene, relishing the chance to play a part totally against his own character. Unlike The Fugitive, Eric actually catches Skorzeny in the middle of the series, but then change of another kind occurs. Skorzeny is revealed to be just another in a long line of lycanthropes, and the real “originator” of the bloodline is one Nicholas Remy (Brian Thompson), who’s been alive for more than two thousand years… and more powerful and ruthless than Skorzeny could ever be. Eric now has an even more malevolent enemy, better able to avoid Eric’s relentless quest. Although he’s still being chased by bounty hunter Alamo Joe, who suspects his dual existence, Eric now has a new mission, and change continues. But that’s what this series was all about. 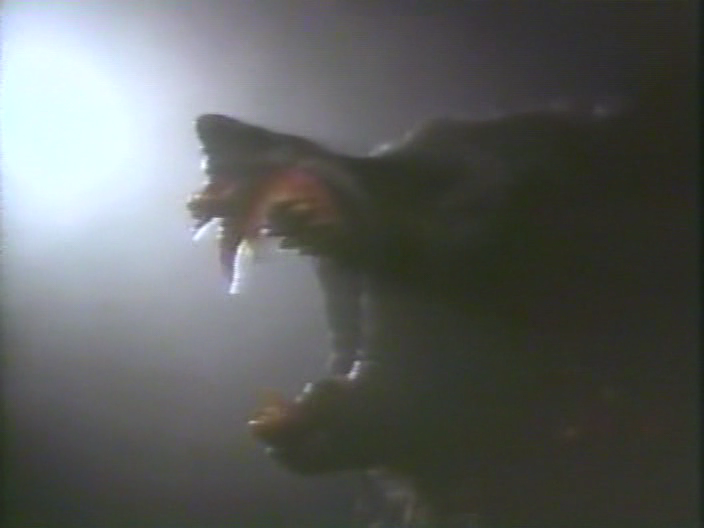 Werewolf was one of the initial offerings of the FOX Network in 1987. The network landscape was changing, with the entry of a new player in the network wars and the grouping of formerly independent stations into a larger and hopefully more powerful group. While others (particularly Paramount in the late ’70’s) had tried to start another network, FOX was the most successful, especially when they only rolled out weekend programming during that first summer season. Werewolf was initially on Saturday nights, although it was moved to Sundays that fall. The series was produced by John Ashley and creator Frank Lupo (Lupo, ironically, means “wolf” in Italian). They had recently come off the hugely successful series The A-Team, and were looking for change as well. Utilizing the horror/thriller concept married with ideas from The Fugitive and The Incredible Hulk, their initial FOX offering was born. FOX embraced the idea, and utilized then-new marketing concepts such as a “call-in” line, advertised at the end of episodes, for information on lycanthropy and werewolf “sightings” across the country. It looked, for a time, as if there was a hit in the making… but still more changes were to ensue. FOX was also after a younger, more advertising-desired demographic. The 66-year-old television veteran Connors was not exactly suited for their marketing, so storyline changes were made. 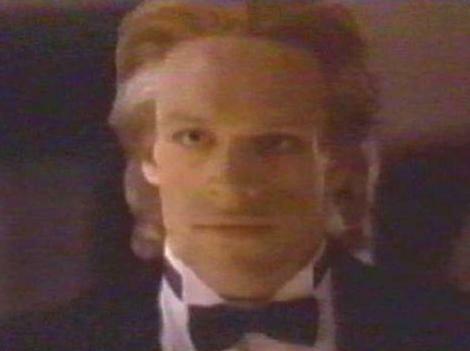 Skorzeny (whose character name was actually an inside joke by creator Lupo, homage to the villain in the original The Night Stalker movie) was replaced with new villain Remy, in order to have a younger actor to help promote the show (even though Connors had been enough of a “name” to gain most of the publicity for the series). Connors and his salary demands for the series also meant frustrations for the producers and the network. Messing with the mythology of the show, not to mention the chemistry of the actors, did little to help the series, and FOX also showed the impatience of youth in canceling the series after its first season. Eric Cord never had his ultimate showdown with Remy, and was left with the curse when the show ended. Some scripts for a potential season two were planned, featuring a further descent into the madness and uncertainty the curse could bring to Eric. But alas, FOX has other plans for their growth as a network, and they didn’t include a 7-foot tall Werewolf (even when the make-up and transformations were spearheaded by Oscar-winning make-up artist Rick Baker). Change was mandated… but then, change was what Werewolf had always been about. JOHN J. YORK (Eric Cord) has been a star player on the soap General Hospital for 20 years, playing the role of Malcolm “Mac” Scorpio. 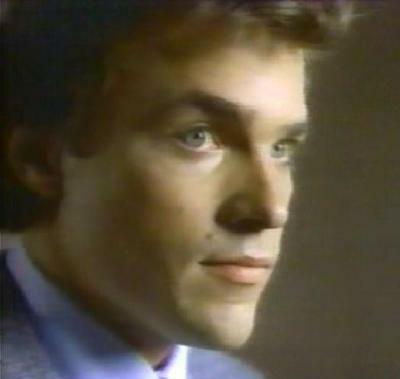 He spun off the part in 2007 on the short-lived General Hospital: Night Shift before returning to the main show. CHUCK CONNORS (Janos Skorzeny) first had a career as a baseball player, making it briefly to the majors before being “discovered” while playing for an L.A. farm team. He found television fame in The Rifleman, but also had regular roles in the lawyer series Arrest and Trial, the western Branded, and the psuedo-western Cowboy in Africa. 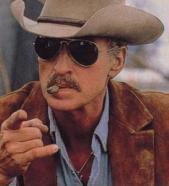 He had a featured role in the SF movie Soylent Green, and played a more modern cowboy in the TV drama The Yellow Rose. He died of pneumonia, linked to lung cancer, in 1992. BRIAN THOMPSON (Nicholas Remy) has been featured on this site before, as the violent Eddie Fiori in Kindred: the Embraced. He’s known for tough-guy parts, especially for his role as the Alien Bounty Hunter on multiple episodes of The X-Files. A veteran of both action movies and SF, he’s been seen with actors from Stallone to Schwarzenegger, and in four different Star Trek incarnations, Buffy, the Vampire Slayer, and Hercules: the Legendary Journeys. Werewolf has never been released on DVD, although it came about as close as a series can come. The five-disc set had been advertised in trade magazines, given a street date, and cover art had been published, before the title was pulled only two weeks or so before it was to be available. Apparently, there were music rights issues that were never settled, as the series used many popular rock tracks of the day during its presentation. There was no “separate” music and dialogue tracks for the show existing, and so the music couldn’t even be “replaced” for DVD, and therefore no release is available. There is, however, a great fansite with information on the series, screencaps from the various episodes, and lots of information on the cast. Clips from each of the episodes, plus a couple of interviews, are available on YouTube. Comic adaptations of the episodes were released a year later by Blackthorne Comics. Changes, both small and large, affect everything we do. Whether the change is personal, such as Eric’s journey, or ultimately affects millions as the rise of the FOX Network did, it is the process of change that makes the difference. On Werewolf, Eric (at least on what we saw) had some control over his actions along the way, even as his entire self became something completely foreign to his previous existence. This is the essential lesson that each of us must learn along the way; that we control the change, not that the change controls us. No matter what the circumstances, our lives are still OUR lives, and even being left with bad choices is better than no choices at all. Finding our way through the maze of possibilities might seem hopeless, but ultimately the essential nature of a being remains. Skorzeny was a villain, through and through, and not just because of the curse. His deterioration was accelerated by his own evil and his own nature. Like Eric, the best of us may have circumstances to deal with, but it is in the choices we make that show our own interior selves… and I can only hope, like many others, that I make the best of them along the way. Aired at Friday 8/7 Central? FOX didn’t air anything in that slot yet, as their only programming aired on weekends initially. Much of its run was on Sunday nights at 8/7 Central, a tough slot for anyone, human or werewolf.